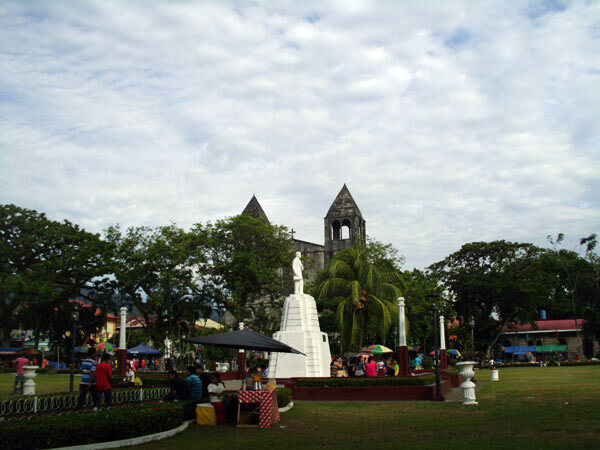 Dapitan City is one of the cities of Zamboanga del Norte. 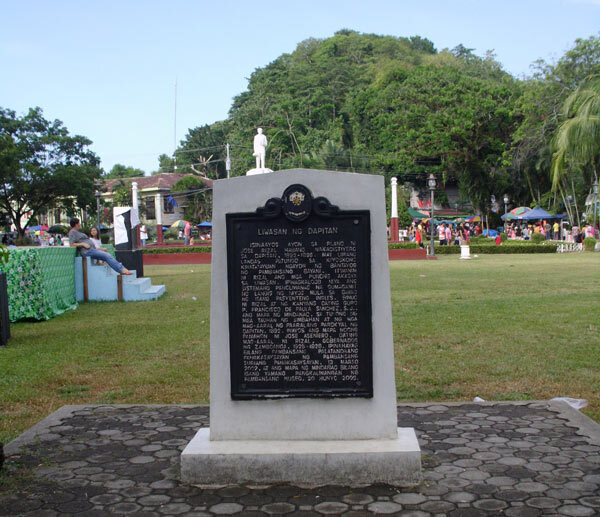 It is known for its historical sites where the national hero, Dr. Jose Rizal, was exiled and spent 4 years. 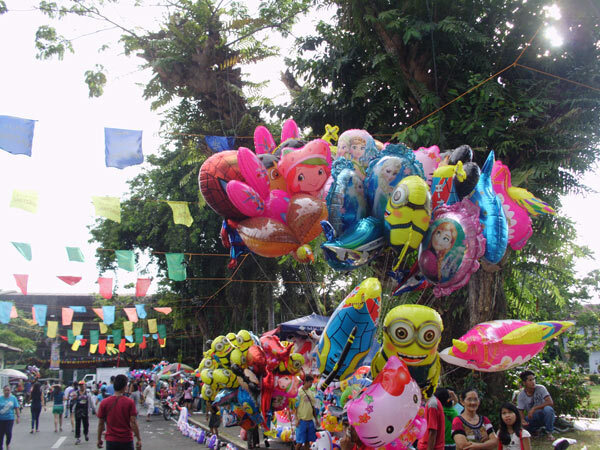 Last 25th of July was the town fiesta of Dapitan. 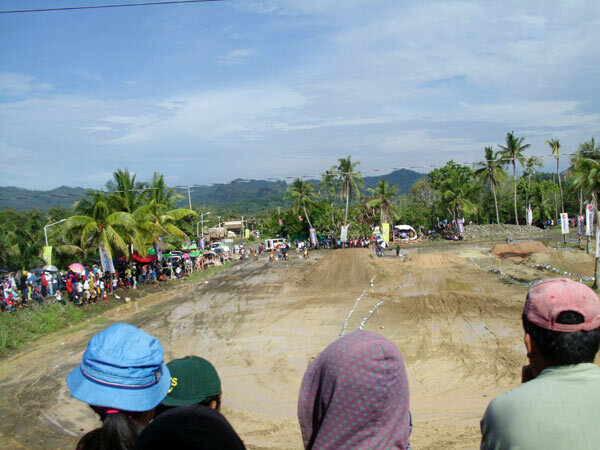 The local government and the Catholic Church had some activities to celebrate their patron saint, Senior Santiago, and one of it is the motocross rising. 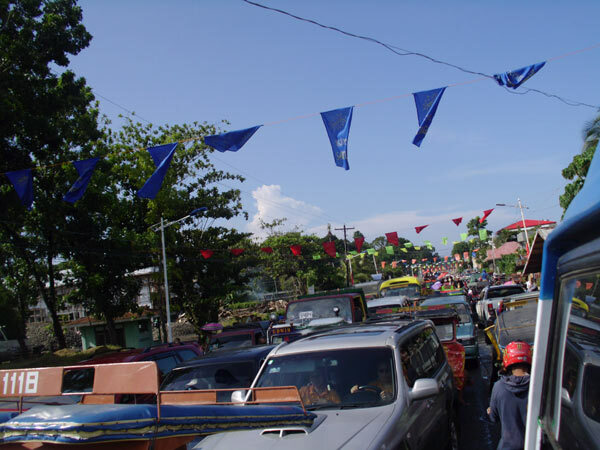 We had a glimpse of it while waiting for the bus to pass through the traffic in Polo Bridge. 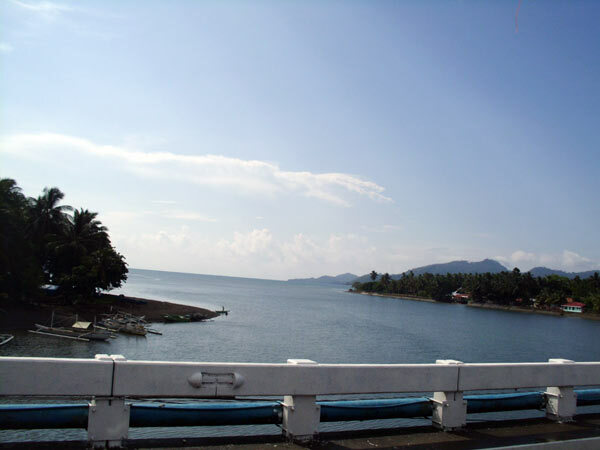 A nice view of the sea while on the Polo Bridge. We have passed by the race track area. 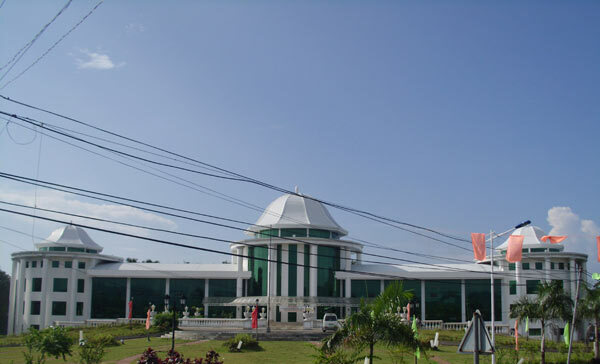 The City Hall of Dapitan where all the offices are found in one building. It took almost an hour to get through the traffic. 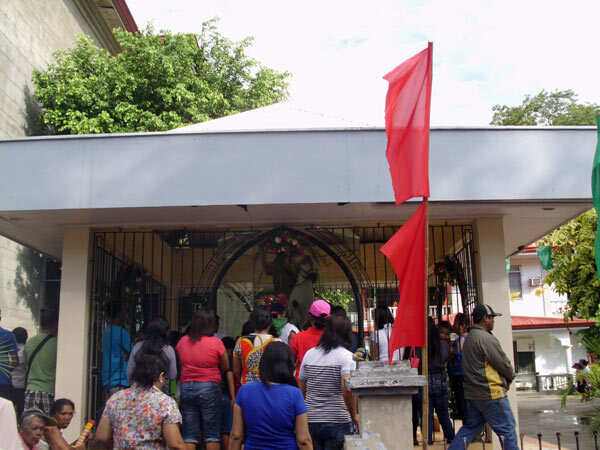 We’re on our way to their plaza which is situated in front of their church. 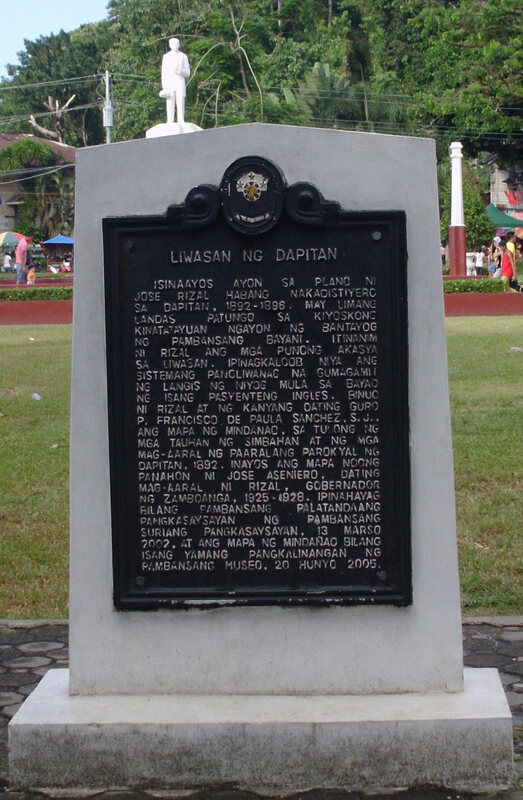 A description of the plaza written in Filipino language. For a clearer text of the content in scribed on the stone. It’s Dr. Jose P. Rizal, the monument. He is the Philippines’ national hero. 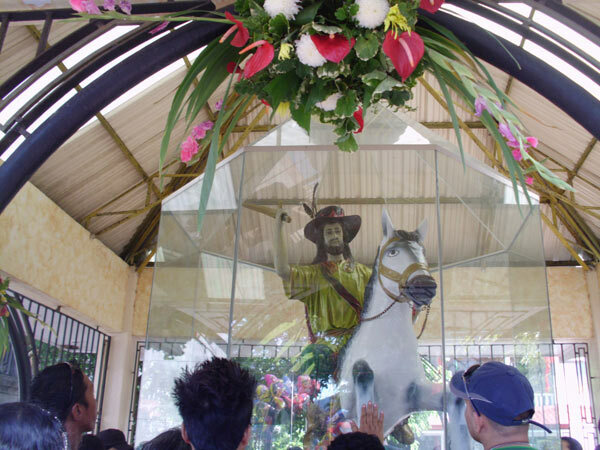 He has a lot of contributions in the city of Dapitan where he was exiled for 4 years before being shot in Bagumbayan. Senior Santiago with some of the devotees. 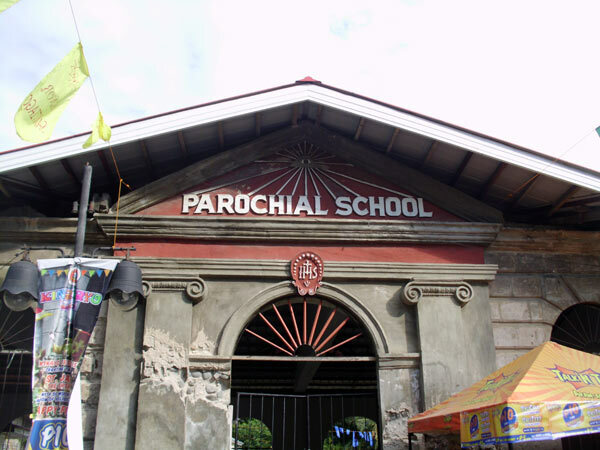 This can be found on the right side of Senior Santiago church. 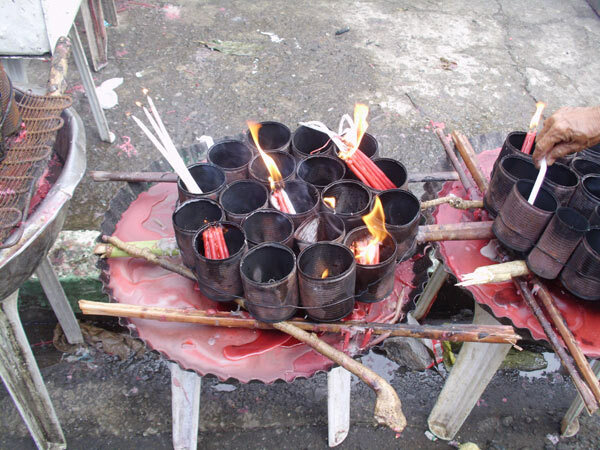 Light some candles and offer a prayer to the patron saint. We roamed around the city and went to Pearl’s house. Our bonding wont be complete without a selfie! Yeah! Happy faces for a great day. Thanks!